Mumbai, July 19 (IANS) A day after the steepest fall of the fiscal, Indian equity markets recovered and traded with appreciable gains in the mid-afternoon session on Wednesday on the back of positive Asian markets and healthy buying in healthcare, metal and banking stocks. At 1.00 p.m., the wider Nifty of the National Stock Exchange (NSE) rose by 48.70 points, or 0.50 per cent, to trade at 9,875.85 points. The 30-scrip Sensitive Index (Sensex) of the BSE, which opened at 31,882.80 points, traded at 31,873.62 points — up 162.63 points, or 0.51 per cent, from the previous close at 31,710.99 points. The Sensex has so far touched a high of 31,919.29 points and a low of 31,793.72 points during intra-day trade. The BSE market breadth was bullish with 1,678 advances and 835 declines. “Equity benchmarks continued to trade higher in the morning, with the Sensex rising over 100 points, backed by ITC, Reliance Industries and HDFC Bank. 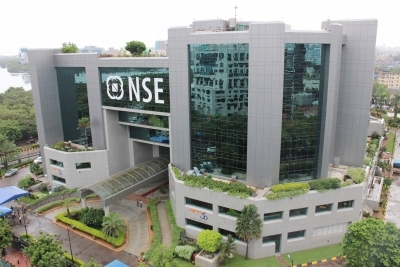 Top gainers in the NSE were Auropharma, Hindalco and Zee, while top losers were Ultratechcem, ACC and Infosys,” Dhruv Desai, Director and Chief Operating Officer of Tradebulls, told IANS. On Tuesday, a free fall in the stocks of the largest FMCG company ITC dragged down the key equity indices. The Nifty shed 88.80 points, or 0.90 per cent, to close at 9,827.15 points, while the Sensex closed at 31,710.99 points — down 363.79 points, or 1.13 per cent.